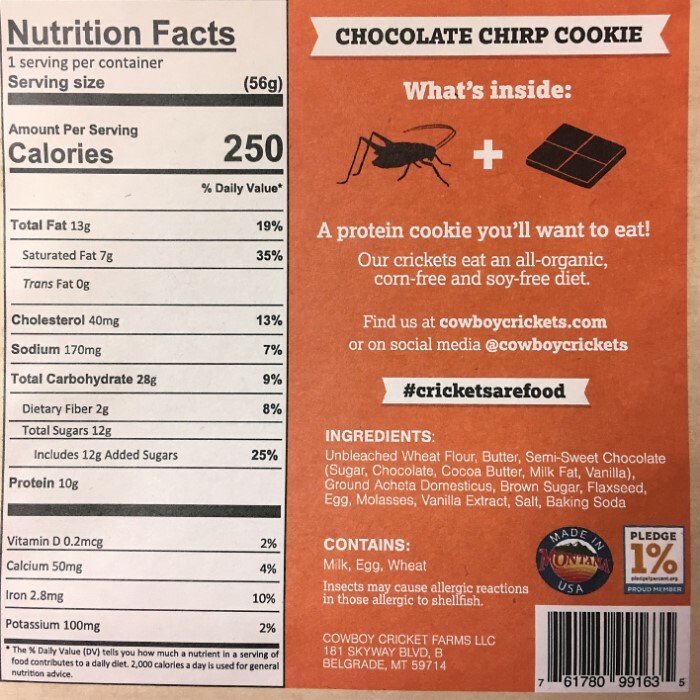 Chocolate Chirp Cookie - Made With Cricket Powder, 10 Grams Of Protein, Handmade In The USA - 2 Oz Cookie | BUDK.com - Knives & Swords At The Lowest Prices! 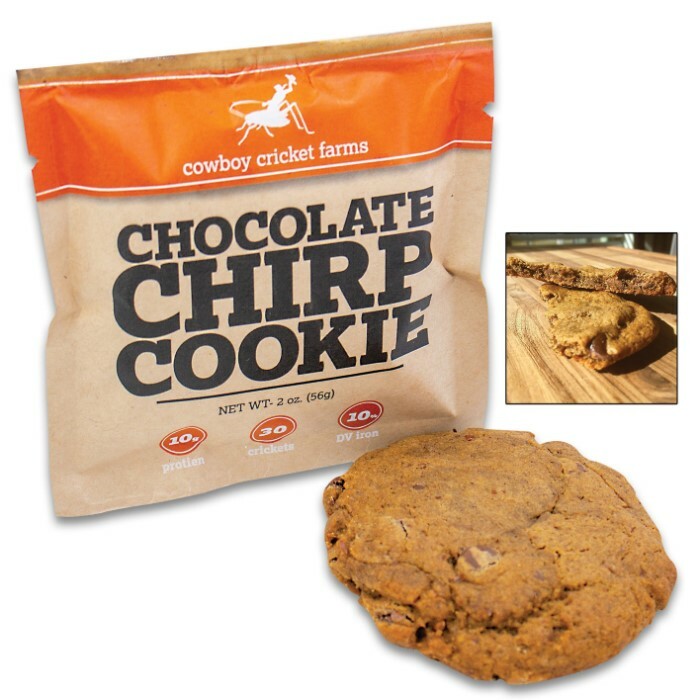 At nearly 4” across, over 2 oz and containing almost 10 grams of complete protein, this soft and chewy Chocolate Chirp Cookie is the first ever “recovery cookie” to help you get that protein you need after a hard workout. 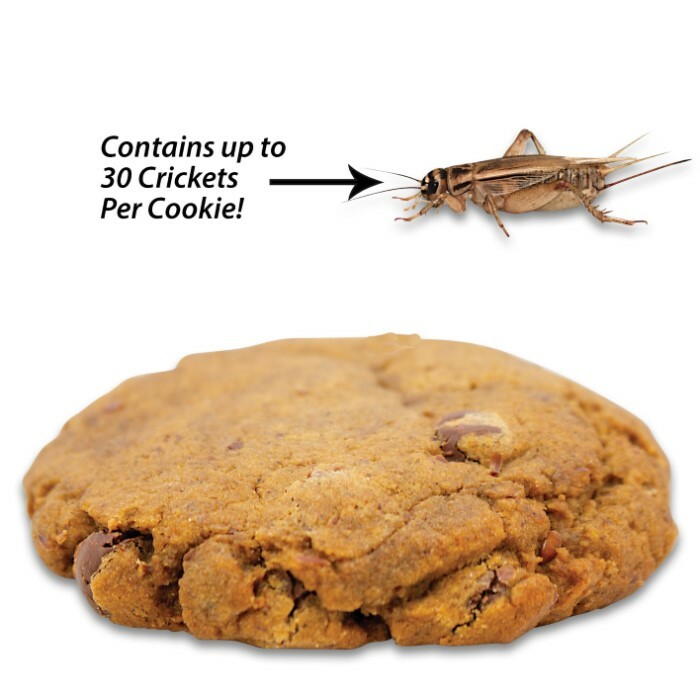 With 30 crickets’ worth of powder in each cookie, these soft treats will give you the energy to get back in the gym. 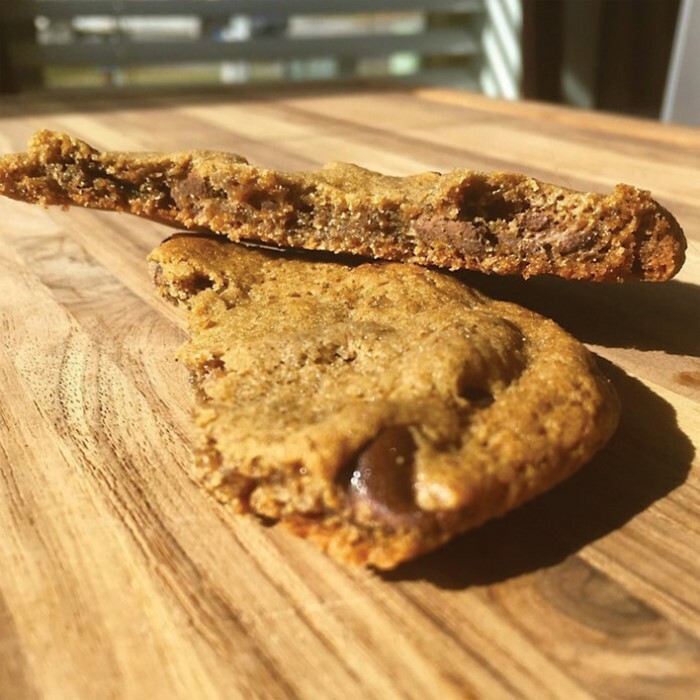 They taste amazing and are baked fresh, in small batches, by hand in Belgrade, MT! They can be stored at room temperature for up to three months or stored frozen for up to 12 months to retain freshness. Just one taste of this high-protein, delicious Chocolate Chirp Cookie and you’ll be completely hooked! I purchased on at full pop but I had a great time with it. The cookie was broken in a lot of small pieces so I handed out some of the small parts to co workers for them to try. After they eat it I told them what it was and some of the responses was great.